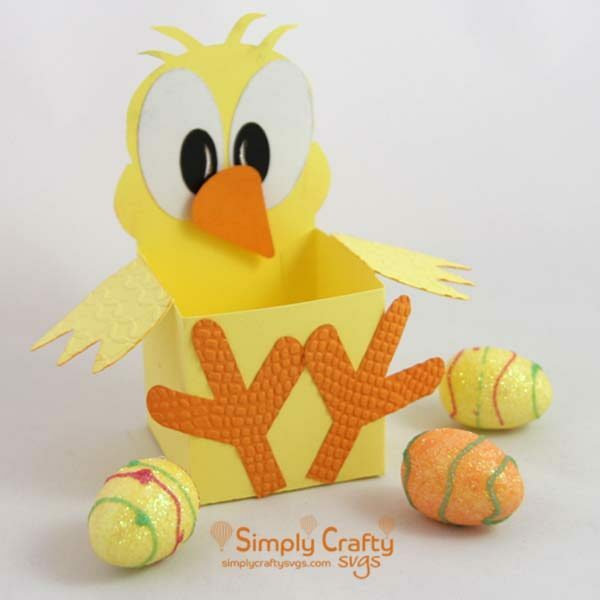 Get this Chick Treat Box SVG File to give for an Easter gift. 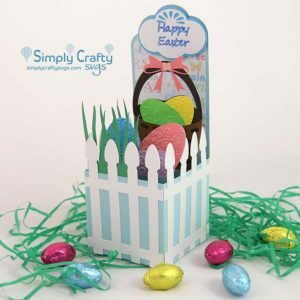 This little chick box would be wonderful to either display at Easter or give away as a mini basket, with candy and/or small gifts. Finished size is 2.5″w x 5.25″h x 2.5″. so simple to put together, I resized it and it was really clear what was needed to be glued etc. Appreciated the pdf to show what the back panel as for 🙂 A really nice little box. Thank you for the review! It is appreciated.